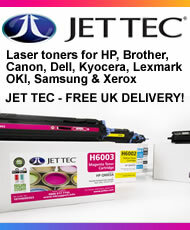 As an Official Jet Tec Reseller, UK Ink Supplies sells Jet Tec ink cartridges, Jet Tec ink, Jettec Refill Kits, Jettec Paper (by Agfa) and Jet Tec Laser Toner Cartridges at very competitive prices. UK Ink Supplies retails manufacturers original branded (OEM) toner cartridges, inkjet cartridges, Jet Tec ink cartridges, paper and office stationery to homes, businesses, schools and colleges: HP toner cartridges, Canon toner cartridges, Epson toner cartridges, Lexmark toner cartridges, Brother toner cartridges, etc., HP inkjet cartridges, Epson inkjet cartridges, Canon inkjet cartridges, Lexmark inkjet cartridges. Photo paper by Agfa, Canon, Epson, Hewlett Packard, Lexmark. etc. We stock a large range of ink cartridges and refill kits and keep them ready to ship. As an official Jet Tec Retailer our cartridges are covered by the Jet Tec 100% satisfaction guarantee, meaning you can buy confident in the knowledge that the products you purchase will meet your needs with minimum hassle. Our friendly customer service are always on hand to assist should you need them, and it's free to call them too. All Jet Tec compatible ink cartridges and Jet Tec refill kits are manufactured in the UK, so you are guaranteed top quality in every cartridge. Most other compatible cartridges are made in China, and many fail to meet the standards of UK manufacturing. The print quality and speed is reduced, as is your printers lifespan. You may even damage your machine. Do not take the risk; use Jet Tec ink cartridges to ensure you get the quality you would expect from genuine ink cartridges. 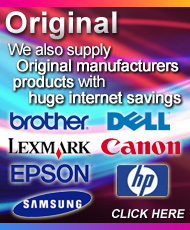 UK Ink Supplies are dedicated to supplying the highest quality compatible printer supplies. 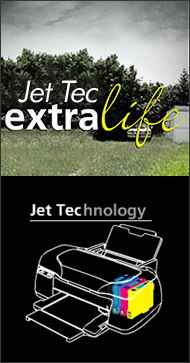 Ink cartridge quality and performance is backed by the Jet Tec Guarantee. If you are unhappy with your Jettec cartridges you may return them for a refund.